Thanks to better ways of filtering and blocking spam, inboxes are nearly free of unwanted mail—but not without a price. On average, 20 percent of global permission based email never reaches its intended destination—your customers’ inboxes. While it would be great if there was a single algorithm that all the mailbox providers used, that simply isn’t the case. Gmail, Outlook.com, and Yahoo Mail have each developed unique spam filtering formulas to deliver the email their users want and protect them from malicious messages. In this guide, we’ll clear up misunderstandings about the different rules of deliverability, and help senders understand what it takes to reach the gmail inbox. Google’s free email service, Gmail, launched in 2004 and in just 13 years has become the world’s largest webmail service provider. Currently, Gmail has over a billion active users. As the top webmail provider, understanding how to reach Gmail inboxes is crucial for senders. However, the requirements for reaching Gmail inboxes are a closely guarded secret. Unlike many of its large competitors, Gmail doesn’t utilize whitelists, disclose use of public blacklists, or provide a lot of direction, tools, or support for senders. In this post, we will talk about Gmail’s known spam filtering practices, their recommendations for email infrastructure, and their postmaster services. We will also provide some recommendations to help senders navigate the path to the Gmail inbox. Gmail primarily uses its community of users to determine whether email is spam or not. Gmail considers the following user feedback important in their spam filtering decisions. As with most spam filters, the content of the email headers, body, and attachments is scoured for keywords, images, HTML, URLs, malware, and many other common components. Gmail temporarily blocks new IP addresses without a reputation for the first two to 24 hours, then delivers small amounts of mail to both the inbox and the spam folders to gauge subscriber reactions. If complaints are too high, future emails will be delivered mostly to spam. If more people rescue messages from the spam folder by clicking “this is not spam” during this period, it indicates that the mail is safe to be delivered to the inbox. User engagement is a major factor in Gmail’s filtering decisions. Gmail evaluates both a user’s engagement with their mailbox in general and their engagement with a specific sending domain to determine what to deliver to each user. Users who interact with email from a domain regularly are more likely to get those messages placed in their inbox. 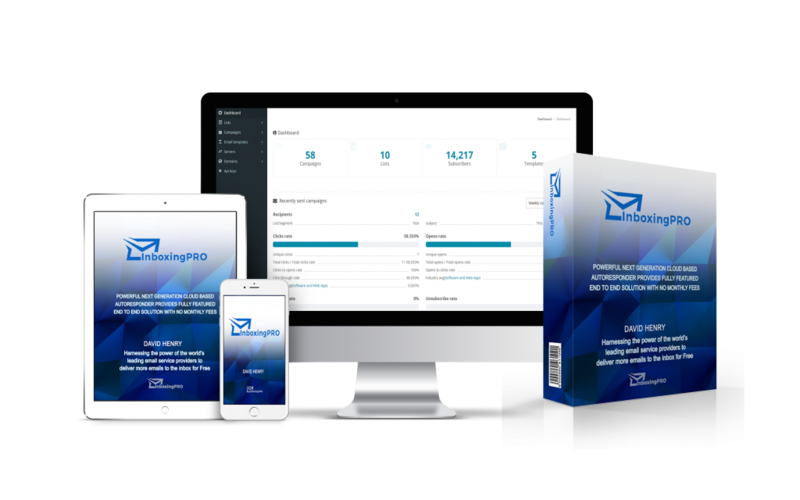 Additionally, users who frequently interact with their mailbox overall receive a higher percentage of messages in their inbox than other users. It’s important for senders understand the relationship between these two measures of engagement. Users who are less engaged with your domain than with the rest of their mailbox may have fewer of your messages delivered to the inbox, even if you consider them an engaged subscriber. Gmail does not make any blacklists available publicly. However, our research shows a correlation between spam filtering at Gmail and Spamhaus. Previously, Gmail was very secretive about their policies around reaching the inbox. But in 2015 they launched their own postmaster site to provide senders with some insight about what it takes to reach Gmail users. To begin using the Gmail’s postmaster tools, senders need to first add and verify their authenticated domain. Once authenticated, senders need to prove they own the domain by entering the DNS TXT or the DNS CNAME. Once verified, senders will be able to access several dashboards. Gmail compiled a list of best practices for reaching Gmail users in their Bulk Sender Guidelines. This includes recommendations around subscribing new addresses, authentication, unsubscribing, and email format to help senders optimize their program to reach Gmail inboxes. Gmail’s feedback loop works a bit differently than a typical feedback loop. Traditionally, when a user clicks the “report spam” button, a message is sent back to the sender or to the sender’s email service provider in Abuse Reporting Format (ARF) which shows the actual email address of the complainer to be removed. Gmail, however, does not send feedback in the form of an ARF. Instead, they use aggregated spam statistics to show complaints overall by customers. To get information in the postmaster tools for the feedback loop, senders need to embed a header called the Feedback-ID, consisting of parameters that uniquely identify their individual campaigns. 1. Consistently send from the same IP address(es). 2. Have valid rDNS for sending IP addresses pointing to your domain. 3. Use a consistent “From:” domain for each type of email. 4. Sign messages with DKIM. 5. Publish a SPF record. 6. Publish a DMARC policy. If a Gmail user receives a message that was not authenticated with either SPF (Sender Policy Framework) or DKIM (DomainKeys Identified Mail), the sender’s profile photo or avatar is replaced with a red question mark. In addition to authentication, Gmail also advocates Transport Layer Security (TLS) encryption. If Gmail receives email not encrypted with TLS, they will display a broken lock icon in the message as a warning to Gmail users that the message is unsecured. Although Gmail does not have any official partners, they do have thousands of hosted business domains that use Google Apps. Gmail does not offer their own whitelisting services, nor do they subscribe to any third-party whitelists. To help Gmail users organize and quickly access their email, Gmail created an inbox filing system called inbox categories. Personal emails and messages from other categories where the tab isn’t turned on Gmail classifies incoming messages into these categories using a special algorithm that looks at everything from content and metadata to user feedback, then places them into the relevant tab. Gmail currently enables the Primary, Social, and Promotions tabs by default, but users can also choose to enable any combination of tabs or restore a single, uncategorized inbox. 3. Starring a message: The starred message will appear in the Primary inbox, but only that message will appear in the Primary inbox. Future promotional messages will still be filtered to the Promotions, Social, Updates, or Forums tab. 4. Dragging and dropping a message into a different tab: When a user drags and drops a message into a different tab, Gmail displays a prompt asking users if they would like all future messages from that sender to go to the selected tab. If yes is selected, all messages from that sender will automatically be sent to the new tab going forward. Otherwise messages from that sender will continue to go to the original tab. While helpful for Gmail users, Gmail’s multiple “inboxes” adds an extra challenge for senders attempting to reach their Gmail subscribers. Like the way a message delivered to the spam folder typically goes unnoticed, messages not delivered to the location subscribers expect won’t be seen or interacted with. As a sender, it’s important to ensure your emails are being classified correctly as either Social, Promotions, Updates, or Forums. A misclassified email can result in lower open rates and cause a bad user experience. • Send different categories of mail (e.g., promotions, transaction notifications, social updates) from different, authenticated sender addresses, and try to keep those addresses consistent over time. • Avoid mixing different types of content in one email, since each message can only be sorted to a single category. For example, putting a promotion into a transactional email may cause the message to be misclassified as a promotion. In addition to the unsubscribe links included in the email body, Gmail offers two different unsubscribe methods: an optional List-Unsubscribe that senders can include and the report spam and unsubscribe button in Gmail’s user interface.